Losing an important key (like to your house or car) is a whirlwind ordeal. The emotions it brings are swift and unpleasant: panic, fear, that feeling of your stomach bottoming out. And then there’s the insane cost of calling a locksmith out to help you. A new key-making service can alleviate those feelings, day or night. 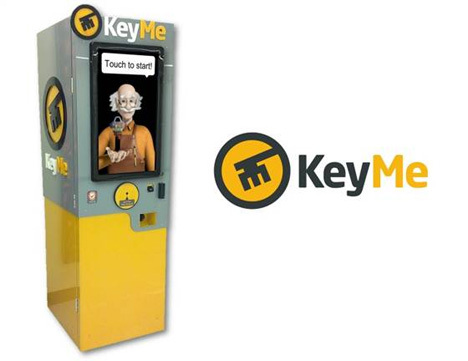 KeyMe is a kiosk that can make you duplicate keys whenever you need them. 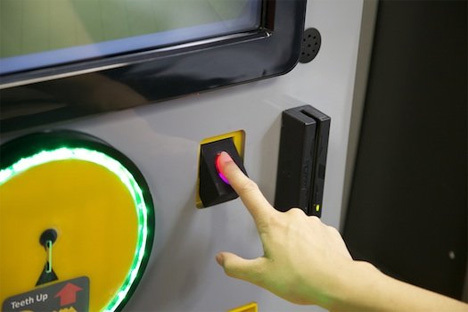 It stores digital copies of your keys in a database so they’re ready to be copied at any time. Storage is free, but if you want it copied, you’ll have to shell out almost $20. KeyMe also copies keys on the spot for $3.49. Key copying has never been this high-tech. The stored keys are retrieved by fingerprint and KeyMe features sophisticated encryption, so your personal information is never recorded. This is a bright and useful way to keep yourself calm during a minor emergency…and a good way to keep you from breaking a window to get in. See more in Digital Design or under Technology. July, 2013.